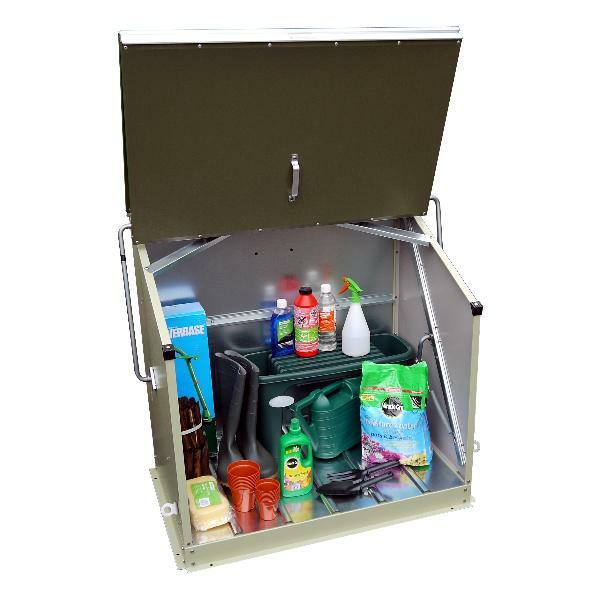 The Sentinel is perfect for the smaller garden and ideal for storing garden tools, power tools, bikes, toys and animal feeds. Constructed from robust, fire-resistant PVC-coated galvanised steel that includes a 25 year panel guarentee, the Sentinel is made from high quality materials that have been designed to last but at an affordable price. 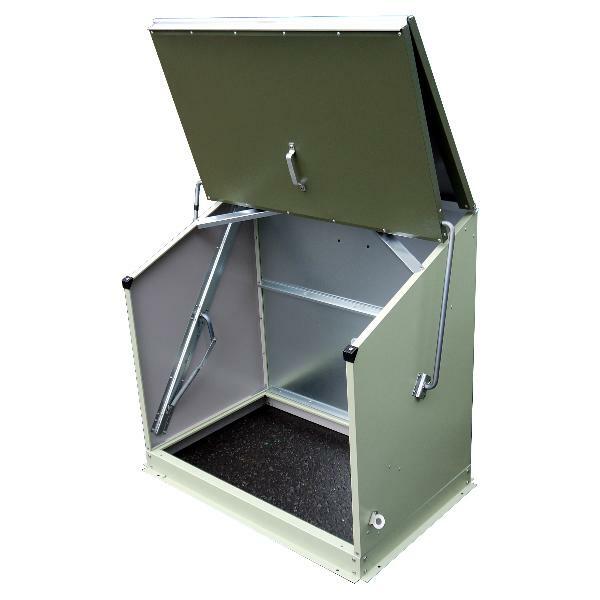 Each Sentinel storage unit comes with walk in access, 2 padlock points and easy to follow, step-by-step installation instructions and once in place is completely maintenance free. Finished in an attractive colour, these superb sheds blend into the surroundings of your garden and home and are a great addition to any garden. Optional accessories for the Sentinal include plywood or metal flooring, shelving and hasp and padlock sets. Please note - All Sizes are external and are shown width x depth. One of the most important features of the Sentinel is the unique and easy to use spring assisted opening action which allows complete 'walk in' access. Heavy or awkward items don't need to be lifted more than a couple of inches to go inside. 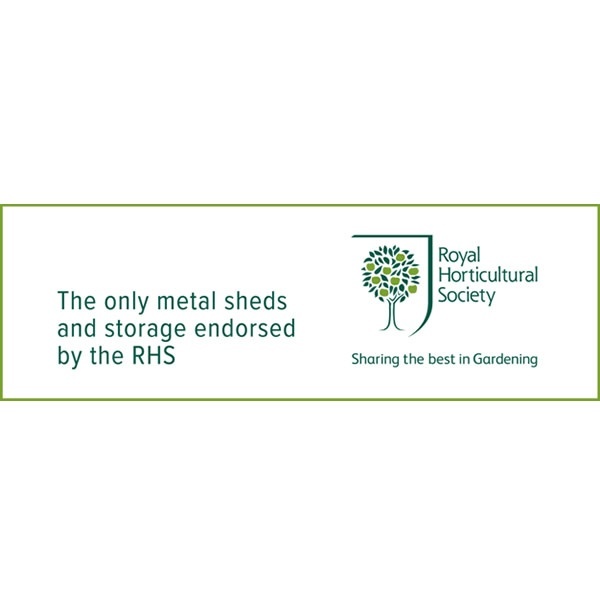 All stores are manufactured in the UK using a modern PVC coated galvanised steel which is maintenance free, fire resistant and guaranteed for 25 years, ensuring good looks and trouble free use. These are specially suited for use on mobile and holiday home parks where wooden structures are restricted due to fire risks. 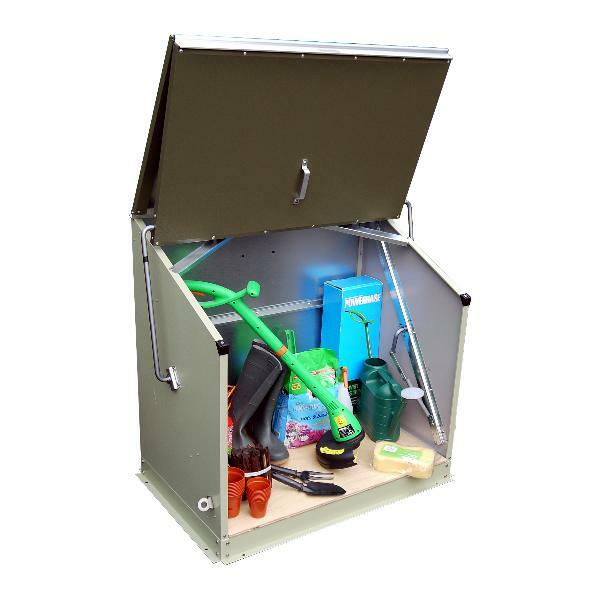 Used alongside a matching Gas Cylinder Store ( see separate information ) these are a tidy storage solution for holiday caravans. Unlike wooden or plastic alternatives, all our stores are fire resistant ( a certificate is supplied with each product ) , and will not warp, become weak or brittle, crack or discolour over time.